.that forms loops averaging 300 nm in length.
' produce a 250-nm-wide fiber. 700 nm rt Tight coiling of the 250-nm fiber produces the chromatid of a chromosome. rt Tight coiling of the 250-nm fiber produces the chromatid of a chromosome. 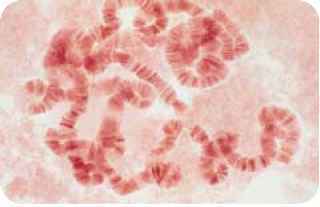 11.5 Chromatin has a highly complex structure with several levels of organization. 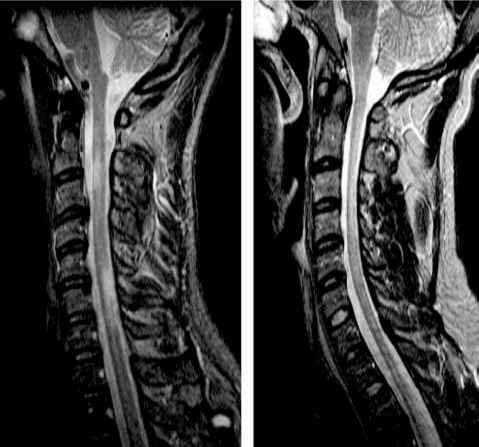 or kinks, in its helical structure as it winds around the histones. The fifth type of histone, H1, is not a part of the core particle but plays an important role in the nucleosome structure. The precise location of H1 with respect to the core particle is still uncertain. The traditional view is that H1 sits outside the octamer and binds to the DNA where the DNA joins and leaves the octamer (see Figure 11.5). However, the results of recent experiments suggest that the H1 histone sits inside the coils of the nucleosome. 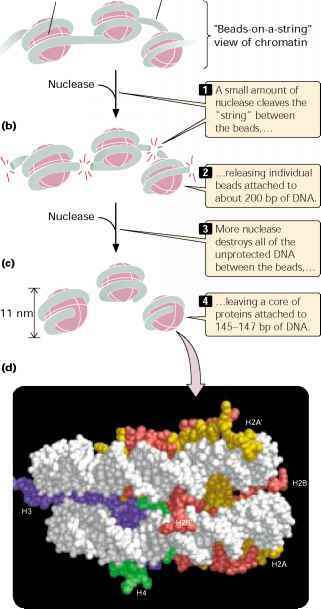 Regardless of its position, H1 helps to lock the DNA into place, acting as a clamp around the nucleosome octamer. Together, the core particle and its associated H1 his-tone are called the chromatosome, the next level of chro-matin organization. The H1 protein is attached to between 20 and 22 bp of DNA, and the nucleosome encompasses an additional 145 to 147 bp of DNA; so about 167 bp of DNA are held within the chromatosome. Chromatosomes are located at regular intervals along the DNA molecule and are separated from one another by linker DNA, which varies in size among cell types — most cells have from about 30 bp to 40 bp of linker DNA. Nonhistone chromosomal proteins may be associated with this linker DNA, and a few also appear to bind directly to the core particle. 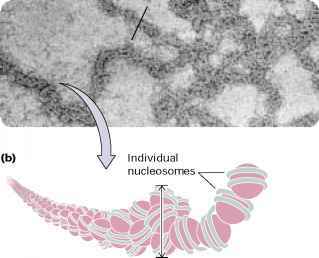 Higher-order chromatin structure In chromosomes, adjacent nucleosomes are not separated by space equal to the length of the linker DNA; rather, nucleosomes fold on themselves to form a dense, tightly packed structure (see Figure 11.5). This structure is revealed when nuclei are gently broken open and their contents are examined with the use of an electron microscope; much of the chromatin that spills out appears as a fiber with a diameter of about 30 nm ( Figure 11.7a). A model of how this 30-nm fiber forms is shown in FIGURE 11.7b. DNA and is about 300 nm in length, but the individual loops vary considerably. The 300-nm fibers are packed and folded to produce a 250-nm-wide fiber. Tight helical coiling of the 250-nm fiber, in turn, produces the structure that appears in metaphase: an individual chromatid approximately 700 nm in width. The nucleosome consists of a core particle of eight histone proteins and DNA, about 146 bp in length, that wraps around the core. Chromato-somes, each including the core particle plus an H1 histone, are separated by linker DNA. Nucleosomes fold up to form a 30-nm chromatin fiber, which appears as a series of loops that pack to create a 250-nm-wide fiber. Helical coiling of the 250-nm fiber produces a 700-nm-wide chromatid. Changes in chromatin structure Although eukaryotic DNA must be tightly packed to fit into the cell nucleus, it must also periodically unwind to undergo transcription and replication. Evidence of the changing nature of chromatin structure is seen in the puffs of polytene chromosomes and in the sensitivity of genes to digestion by DNase I.
structure, assuming a more open state. If radioactively labeled uridine (a precursor to RNA) is briefly added to a Drosophila larva, radioactivity accumulates in chromosomal puffs, indicating that they are regions of active transcription. Additionally, the appearance of puffs at particular locations on the chromosome can be stimulated by exposure to hormones and other compounds that are known to induce the transcription of genes at those locations. This correlation between the occurrence of transcription and the relaxation of chromatin at a puff site indicates that chromatin structure undergoes dynamic change associated with gene activity. Question: Is chromatin structure altered during transcription? Method: Sensitivity to DNase I was tested on different tissues and at different times in development.